Tickets are no longer available online but may be available at the door. 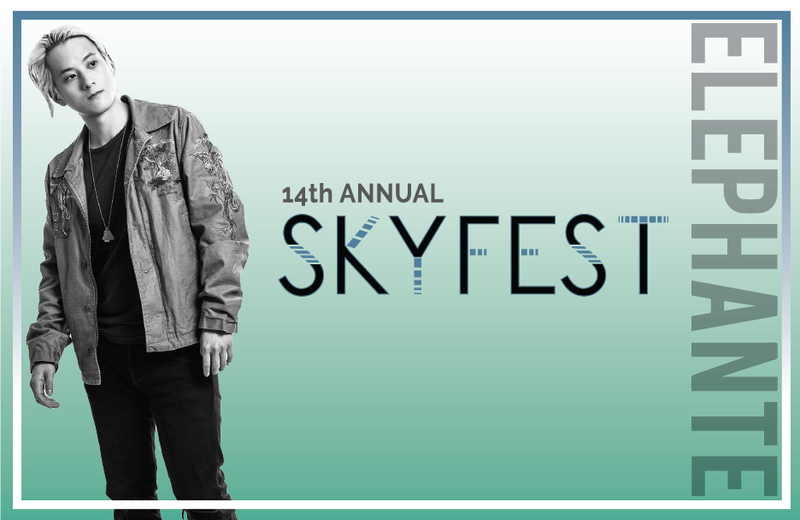 Fort Lewis College Student Union Productions presents Skyfest featuring Elephante! Tickets are FREE* for FLC students and are available online at www.durangoconcerts.com or at the Student Union Information desk at Fort Lewis College. Students must show their ID when picking up their tickets. *Day of show tickets will be $2.00 for FLC students. General admission tickets for non-students will be available starting September 7 at $10.00 per person (plus applicable service fees). For more information contact (970) 247-7258. This show is for 18 and over.